Since October 2008, all homes sold or rented out require an EPC, and the energy ratings had to be displayed on any Property Particulars. I’m looking to sell or let my property – will I need an EPC? Yes, you will need to have commissioned, but not necessarily received an EPC before marketing can start. The law also requires all estate agents to ensure than an EPC is in place or has been commissioned, before marketing starts. The EPC Regulations state that it is the property owner’s responsibility to supply potential buyers or tenants with a valid EPC at the outset of any transaction. This means that you or your estate agent must have instructed an accredited Assessor to carry out an Energy performance assessment and produce an EPC, and enclosed the payment for the EPC or an undertaking to pay for it. Summary of the key elements in the property that have impact on its performance rating, such as windows, heating systems and controls. Suggested improvements, like fitting loft insulation. Possible cost savings per year, if the improvements were made. How the recommendations would change the energy and carbon emission rating of the property. The ratings measure the energy and carbon emission efficiency of a property using a grade from A to G. An A rating is the most efficient while G is the least efficient. All homes are measured using the same calculations so you can compare the energy efficiency of different properties. 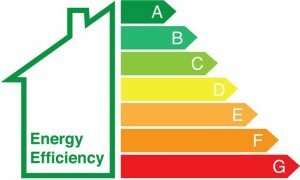 An EPC gives a property an energy efficiency rating from A (most efficient) to G (least efficient) and is valid for 10 years. If a newer EPC has been produced, the newer EPC must be used. From Sunday 1st April 2018, changes to the Energy Performance Certificate (EPC) Regulations means that owners of the least energy-efficient buildings in the UK will be unable to let or renew a lease of their property. The changes to the EPC Regulations make it illegal to let residential or commercial properties with an EPC Rating of “F” or “G”, the lowest grades of energy efficiency. Worryingly, data from the National EPC Register indicates that 18% of commercial properties in England and Wales hold ratings of “F” or “G” and a further 20% hold an “E” rating. Clearly, changes to the EPC Regulations will have significant implications for property owners who are caught out by the regulations and wish to sell or lease commercial and residential properties. 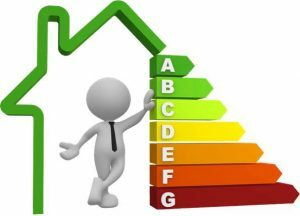 Why get your EPC from AJM Estates? For speed and convenience, we can organise this for you. We are best placed to obtain a professional standard EPC quickly and efficiently, allowing your home to be marketed as soon as possible. This ensures you won't miss out on potential valuable viewings. If you decide to organise the EPC yourself, your estate agent will need to receive the EPC itself, or evidence that the EPC has been commissioned, as explained above.